Happy Wednesday, everyone! It's already three days into this new year, can you believe it? It seemed like the holidays just whooshed by so quickly and I hardly got to enjoy them. I guess that's the nature of that time of year. 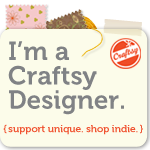 Truthfully, I'm glad it's all over so now I can get back to my normal life and get back to crafting and creating! Do any of you feel that way too, or is that just me? I've been pretty busy this week actually! Despite being super sick all of last week with a stomach bug (I'm finally starting to feel better today, thank goodness), I just can't stop myself from doing stuff around the house. So this What's Up Wednesday, I have lots to report! First of all, I finally started taking down my Christmas decor yesterday. I like to take it down and put it in a big pile, then have hubby bring down the boxes and pack it all away in one go. 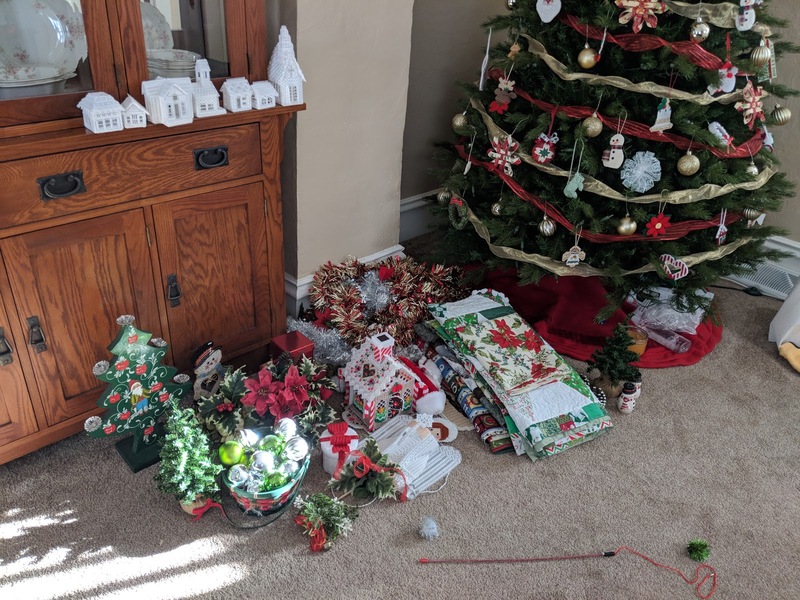 I got most of it down yesterday, but I need to get the tree and I'm going to ask my giant husband to get the up high things (I'm not short, just lazy!). It feels kind of good to get it away. I'll miss the warm twinkly lights at night, but the house feels clean and fresh for the new year. 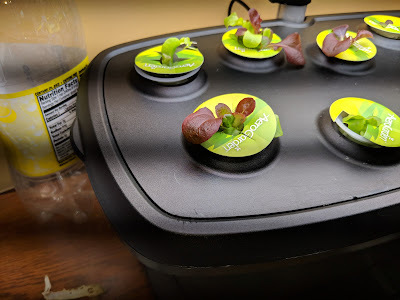 Shortly before Christmas, I cleaned out my Aerogarden and got some lettuce seeds planted, and they're up and doing really well! There's something about the LED lights of my garden that make my phone take weird stripey pictures, but you get the idea. 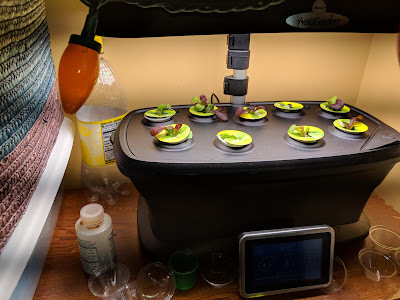 I just love watching my little plant babies come up! They're so cute! I'm not much of a kid person, but I go gaga over my plant babies and my fur babies, lol. I got some really cool quilting stuff for Christmas, so I decided that before I can even open that stuff, I NEED to finish the quilts I'm working on!! 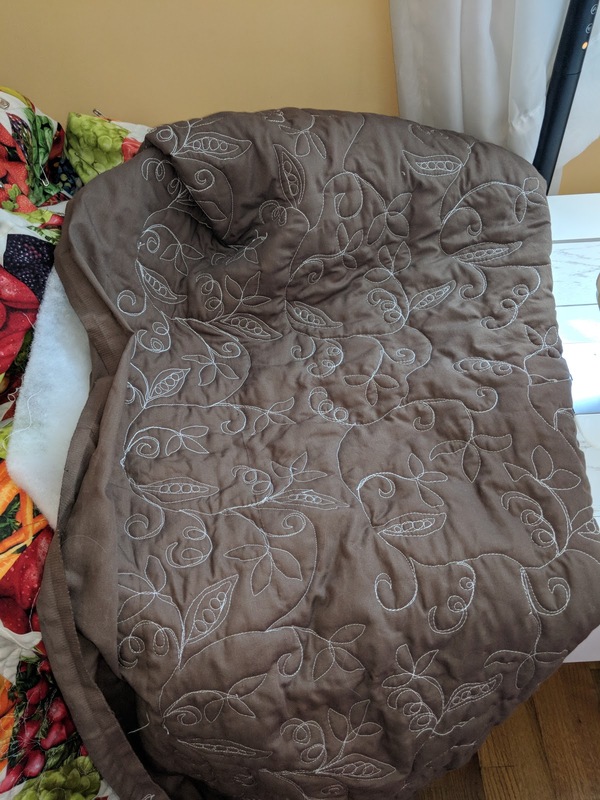 So a few days ago I got back to work quilting my vegetable quilt, and it's coming along very well! 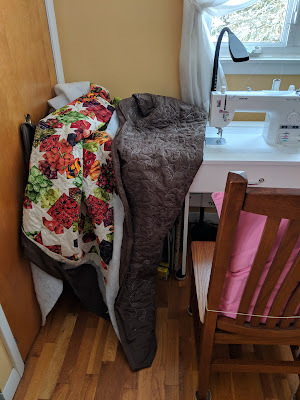 I'm trying to do 30 minutes of machine quilting a day, and so far I'm about a third of the way done, woo! 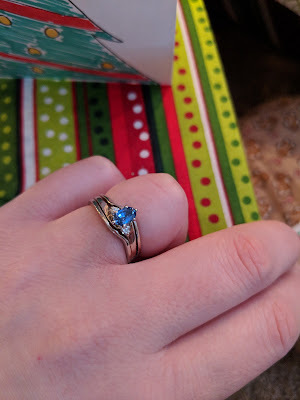 On Christmas eve, I finally got to open my new and improved wedding ring! Oh it's so beautiful. I can't believe how lucky I am to have such a sweet husband who would give me such a lovely sapphire. 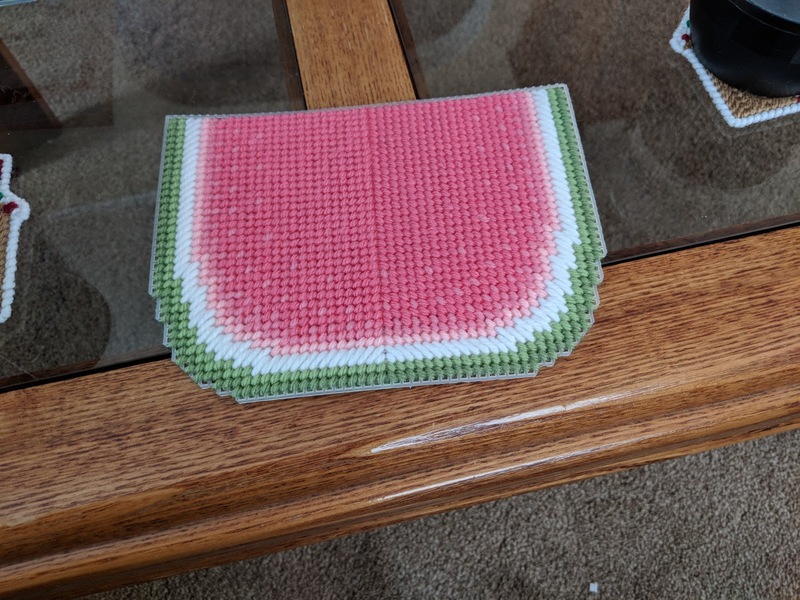 I made a set of really neat watermelon designs before Christmas, but I wasn't happy with the selections of pinks I had to make it. I ended up buying a ton of yarn a few days before Christmas in the hopes that I could find the color I wanted. And as it turns out, I found some goods pinks! (P.S., Red Heart makes a lot of yarn.) So this week I've been working on stitching the new design up. I think it's coming along really nicely! Well, that's all for this week, guys. I hope you all had a safe and happy New Year!